The Experience	Camp Descriptions	Camp Schedule	FAQ	Win a Free Week of Camp! Are you a Camp Director? How long has Mad Science been running summer camps? Mad Science of St. Louis is a franchise of The Mad Science Group. Our programs are created by a team of professional scientists and teachers at our head office, in Montreal, QC. Millions of children in over 160 locations, in 22 countries have enjoyed our programs. Mad Science of St. Louis has been running camps in this area for 20 years. The child to instructor ratio varies depending on enrollment. We always have at least one counselor for every 12 campers. 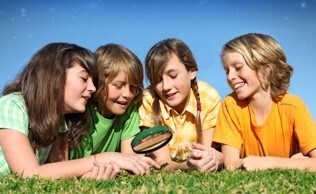 What ages are the summer camps designed for? Most of our camps are designed for children entering kindergarten to entering fifth grade. Our “Red Hot Robots” and "Mad Inventors" camps are targeted to children entering second grade to fifth grade. Our preschool camp, "Little Green Thumbs" is recommended for children age 3 to 5. Please call us at 314-991-8000 for recommendations. Yes. A few of our camps are divided by age, but, for the most part, they are not; we use a buddy system where, if required, the older children help the younger ones. Also, our low child to instructor ratio ensures that there is always plenty of help. Who are the Mad Science summer camp instructors? Yes, at some of our camps. Pre and post care may be provided by our host locations. These locations are are indicated with an asterisk on our registration page. You will need to contact the partner-host location directly to secure arrangements for extended care. Depending on the location of the camp, there may be several ways to register: online, over the phone, or in person. The easiest way is through our online registration system. It takes about 5 minutes and accepts Visa, MasterCard, American Express, Discover, and checks. The following Mad Science hosted camps will be made available through our online registration system: Conway Elementary, Crestwood Parks and Recreation, Faust Park, Olivette Community Center, Queeny Park, and St. Louis University. Our partners’ camp registrations are handled directly through our partners (i.e. school districts, parks & rec., etc.). There are directions in our online registration system as how to register for each individual camp. Please Note: Due to limited spaces in each camp, we cannot reserve a space for your child until we receive your payment. If you are paying by check, we do not reserve your space until we receive the check. The following policy is applicable for those registration proccess directly by Mad Science (i.e. our online registration system, phone-in, paper): Cancellations that are communicated more than 30 days prior to the start of the camp are subject to a refund, less a $25 service charge. Cancellations that are communicated between 8 and 30 days prior to the start of the camp will be given a refund, less a $50 service charge. If your child decides he or she doesn't want to continue after the first day of camp, you may withdraw. 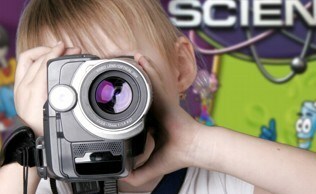 However, you must call Mad Science at (314) 991-8000 prior to the start of the second day of camp to obtain a refund. After that, no refunds will be given. Registrations that are proccessed by our partner locations are subject to the refund policy of that location. We offer a 6% discounts for the enrollment of siblings at certain locations. You may call our office before enrolling in order to be eligible for sibling discounts or you may fill out our sibling discount form to obtain a discount code that may be used in our online registration system. Eligible locations are Crestwood Parks and Recreation (Non-residet price only), Ellis Elementary, Conway Elementary, Ellisville Parks (Non-resident price only), Faust Park, Queeny Park, St. Louis University, St. Louis College of Pharmacy and Wentzville Parks and Recreation. We do not offer a multi-camp discounts at this time. Some of the summer camps are the same as the ones that we have used previous summers. We have had a lot of children take a particular camp again and still enjoy it the second time. Please contact us with any specific questions. The minimum number of campers necessary to hold a camp is 10. Mad Science tries to inform parents as soon as possible should it appear that a camp will not reach its minimum enrollment. On these occasions, we will offer priority enrollment in other camps. Contact us for additional information on camp cancellations. Mad Science provides all the equipment and materials for both the in-class activities and the take home projects. All you need to provide is a child who is ready to have fun! Children should dress comfortably for that day's weather. We ask that children not wear open toed shoes to a Mad Science camp, specifically no flip-flops. Also, as we will be outside on a number of occasions, please do not dress your child in any clothes that you do not want to get dirty. You may wish to apply sunscreen or insect repellent, or send these items with your child. A hat and/or sunglasses may also be useful. Water bottles are also recommended. For full-day camps, we require parents to send a lunch and snacks. Refrigeration is not accessible at our camp-sites. Please clearly mark your child's name on all items he/she brings to the camp. PLEASE AVOID PEANUT BASED FOODS. If our schedule does not work with YOUR schedule then bring Mad Science to you! All you need is 10 children and a safe place to hold the camp!